Every capital letter has a different fairy on it and each lower case letter has some "magic sprinkles". 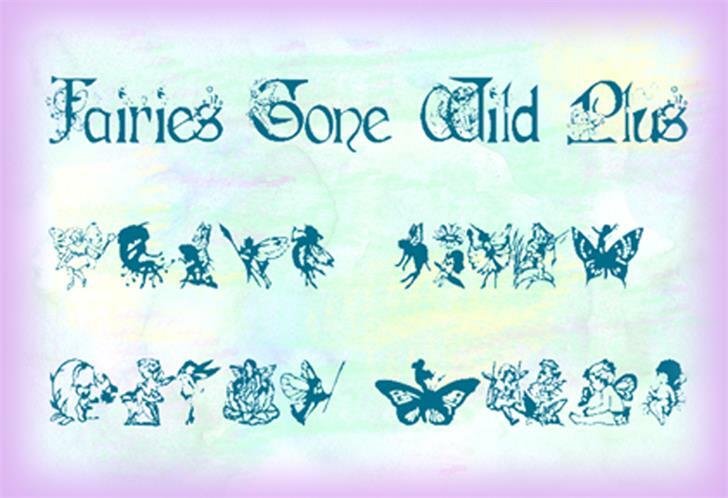 This is an extended version of my Fairies Gone Wild font and has 20 fairies included as symbols. In Microsoft Word, this would be on the Insert menu, then symbol, more symbols,and scroll through to find a fairy. Then you would select it and click Insert. Hope you have fun with this font.